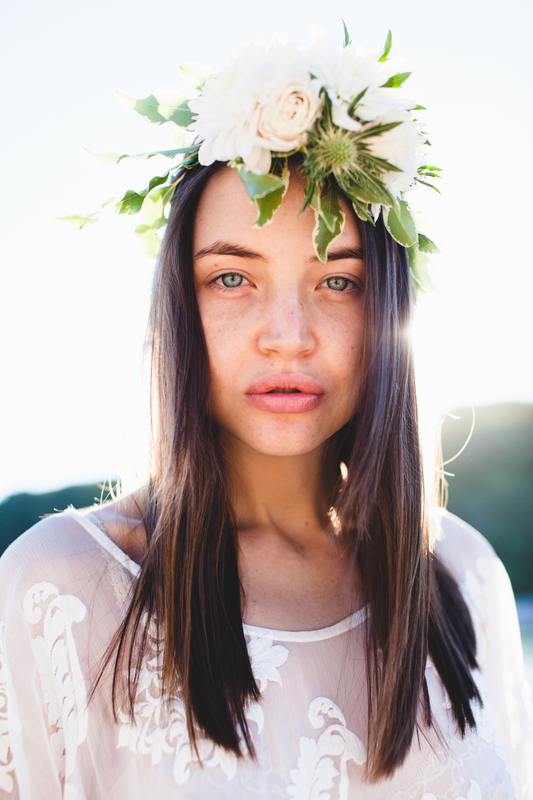 I got a lovely surprise a couple of weekend ago when Brooke Adams asked me to put together a flower crown for a shoot she was doing. Sometimes doing a shoot just for fun produces the best photos and in this case that’s definitely true. Can you believe the model isn’t wearing any makeup?! What a stunner! I love how simple this is. 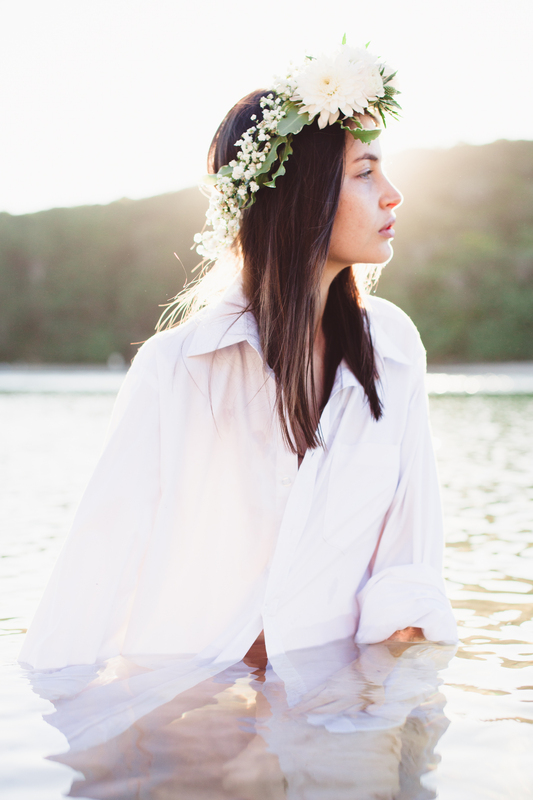 Water, white shirt and flower crown. Amazing.